Elaine is the owner of, and principal consultant at, Work-Able Solutions. An occupational therapist for over 20 years, Elaine brings an energetic and person-focused approach to her clients. She has a broad and diverse clinical experience in medical and vocational rehabilitation, and a natural ability for developing resourceful and practical solutions. Ergonomics, injury prevention, and workplace accommodation services are currently the core focus of her clinical practice. In addition to her clinical activity, Elaine is a dynamic, in-demand professional speaker. Elaine obtained her occupational therapy degree from the University of Manitoba in 1993. Her clinical background includes work with individuals experiencing musculoskeletal injury, brain injury, stroke, chronic illness, and mental health conditions. Elaine has expertise in office and industrial ergonomics, return to work, physical and cognitive job demands analysis, workplace accommodation, functional capacity evaluation, cognitive assessment, and neurorehabilitation. She continues to provide these services to individuals, insurers, and employers. Additionally, over the years, she has developed innovative rehabilitation programs and workplace injury prevention services, and has been involved in the supervision and mentorship of other occupational therapists. 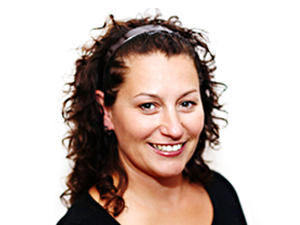 Elaine has extensive clinical experience in ergonomics, and has completed over 1000 ergonomic assessments. She remains committed to providing a high standard of ergonomics services through ongoing education and a research-based approach. Currently, she works with a number of private sector organizations and government agencies, providing ergonomic assessment, training, program development, and design consultation related to ergonomics, as well as medical accommodation services. She is a parent, community volunteer, and in her spare time Elaine enjoys the outdoors, athletic pursuits, reading and travel. Leslie has as worked as an occupational therapist for over 25 years, implementing rehabilitation and injury prevention services in industrial, hospital, and home/community settings for individuals experiencing a wide range of medical conditions. She has been a practice innovator throughout her career, and continues to strive to apply the most current research-based interventions. Through her commitment to ongoing education and her diverse clinical experience, Leslie has developed expertise in ergonomics and injury prevention strategies, return to work and work hardening, job demands analysis, functional capacity evaluation, chronic pain programs, medical-legal assessment, and workplace wellness education. As the clinical coordinator at a large rehabilitation clinic offering multidisciplinary services, Leslie developed excellent team communication and case management skills. 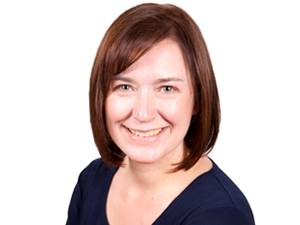 Leslie currently shares her expertise and interest in work related rehabilitation services with occupational therapy students as a faculty member at the University of Manitoba. Leslie has been awarded grants to complete a number of research projects, she has written several publications in peer reviewed journals, and has been invited to present this work at local and national professional organizations on numerous occasions. She earned her Master of Science degree in 2008; her research thesis project explored the effectiveness of office ergonomics education. Leslie’s extensive and diverse clinical and management experience, combined with her creativity and commitment to education and research, make her a highly sought-after occupational therapist. Jenifer has worked as an occupational therapist for over 10 years in both the public and private sectors, and has expertise in the provision of mental health and workplace services. 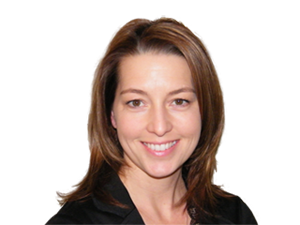 Jeniferï¿½s range of experience, versatility, and practical approach in her clinical work is valued by her clients and our rehabilitation stakeholders. 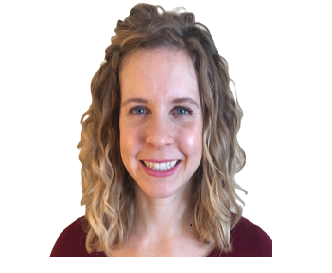 Jenifer completed her bachelor of medical rehabilitation degree in occupational therapy at the University of Manitoba in 2003. She has worked with clients in a variety of settings including home, community, hospital and the workplace. Throughout her occupational therapy career, Jenifer has gained experience in a wide range of practice areas including mental health orthopedics, brain injury, musculoskeletal and workplace injury, vocational rehabilitation, return to work, and ergonomics. Jenifer has a wide range of clinical experience and training in mental health service provision, including crisis response, acute and long term care, life skills training, individual and family counseling, forensics, discharge planning, community re-entry, vocational preparedness, and most recently with the Early Psychosis Prevention and Intervention Program assisting the client and family through recovery from a first episode of psychosis. This experience has provided her with clinical expertise in this area of practice, and an exceptional ability to recognize and understand the impact of mental health issues on the whole person. Jenifer also has experience providing workplace assessment and intervention services, office and industrial ergonomics assessments, functional abilities assessments, and return to work programming. Her experience and unique skill set allows her to be an innovative problem solver in a variety of complex settings. Jenifer received her degree in massage therapy and practiced for some time in this profession prior to becoming an occupational therapist. She enjoys being active in her community, and has volunteer experience in crisis and abuse counseling. Amidst her career development, Jenifer took time to have a small family and is a proud mom to two young daughters. Sandra has worked as an occupational therapist for over 15 years in the public sector, in both inpatient and outpatient settings with individuals experiencing a wide variety of health conditions. Sandraï¿½s experience, creativity and solution focused approach allows her to be particularly effective with complex medical situations. She is an engaging speaker, with an interest in promoting injury prevention, active living and educating adults about managing their chronic health conditions. 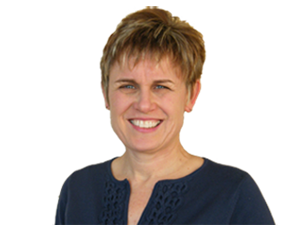 Sandra completed her Bachelor of Medical Rehabilitation degree in Occupational Therapy at the University of Manitoba in 1996. Throughout her career she has gained experience a variety of areas including, acute care, discharge planning, self care assessment, home assessment, cognitive assessment, and wellness education such as relaxation training, energy conservation skills, body mechanics and goal setting. Sandra has shared her clinical experience as an instructor to occupational therapy students at the University of Manitoba. She is a leader in her profession, having held various positions on the executive of the Manitoba Society of Occupational Therapists, including president in 2002. Laura is a registered Occupational Therapist and has provided health and wellness appraisal and counselling to individuals and groups for over seven years. She began her career in health when she completed a 4-year degree in Kinesiology and Applied Health from the University of Winnipeg and practiced as a Certified Personal Trainer (CSEP) for over five years. Laura's interest in helping others live to their fullest potential led her to completing a Master of Occupational Therapy degree at the University of Manitoba. Laura brings her physical health background into the field of mental health where she has provided mental health counselling and has facilitated recovery and wellness focused groups in a community setting for over three years. She is dedicated to supporting individuals in strengthening the link between their own physical and mental wellness. Laura has continued to pursue professional development opportunities by receiving certificates in Practical Facilitation Skills through the University of Winnipeg and in Expressive Art Therapy through the W.H.E.A.T. Institute. From these experiences, Laura brings with her a creative and engaging skill set while working with individuals one-on-one and in developing and facilitating workshops and therapeutic groups. Laura has experience working with individuals living with chronic disease, serious mental health challenges, developmental disabilities, and has worked with people of all ages from children to older adults. Laura has particular interest in mindfulness and how to pay attention to the body and mind to engage in meaningful occupations and facilitate long-term wellbeing. All of our occupational therapists are registered and licensed by the College of Occupational Therapists of Manitoba, and are members of the Manitoban and Canadian Occupational Therapy Associations.